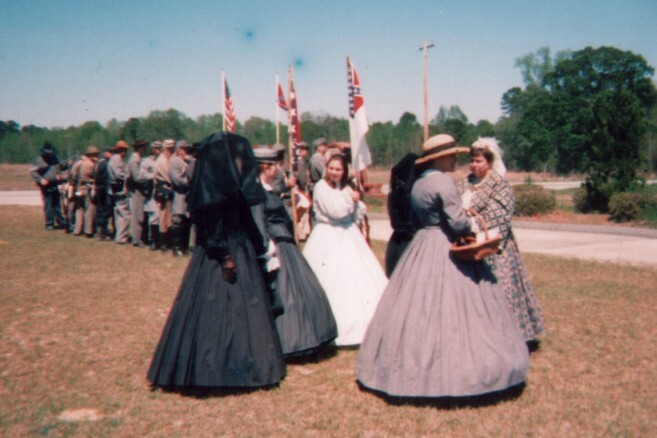 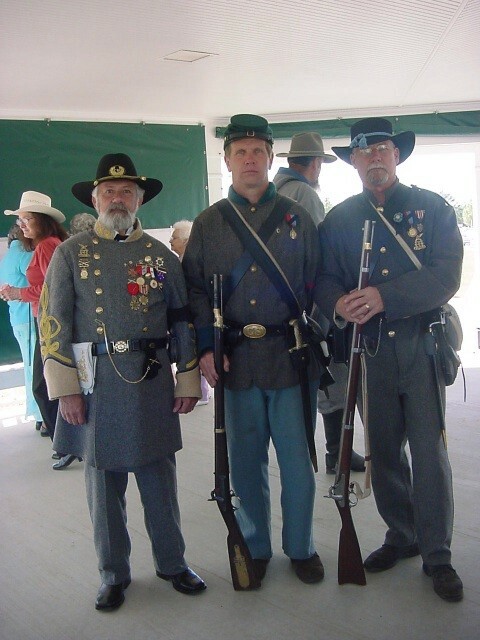 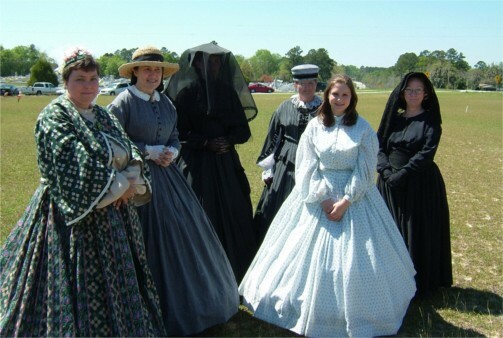 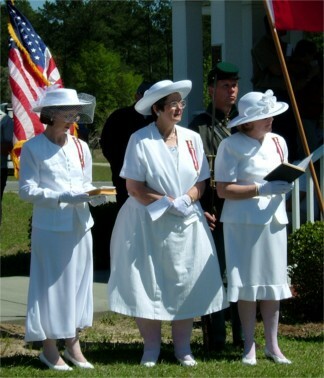 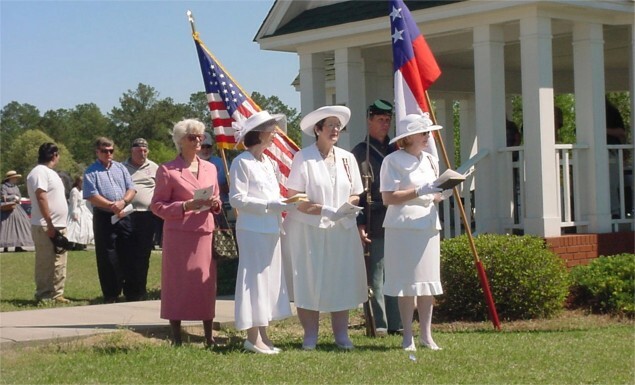 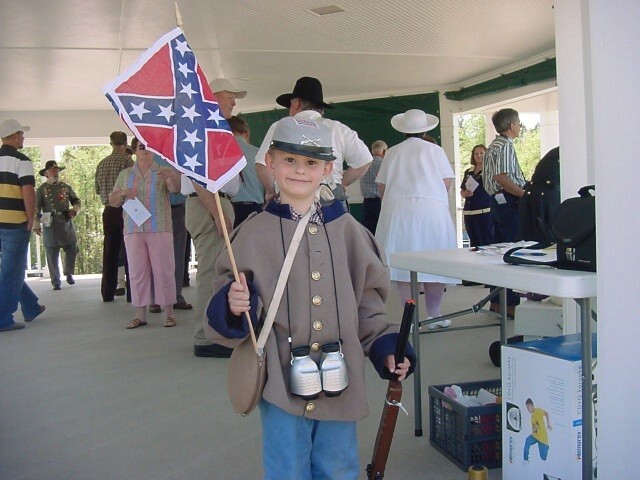 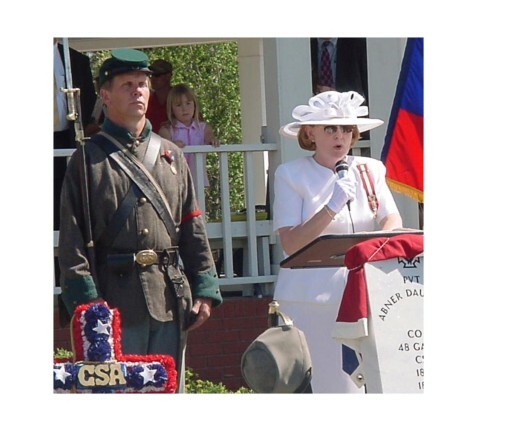 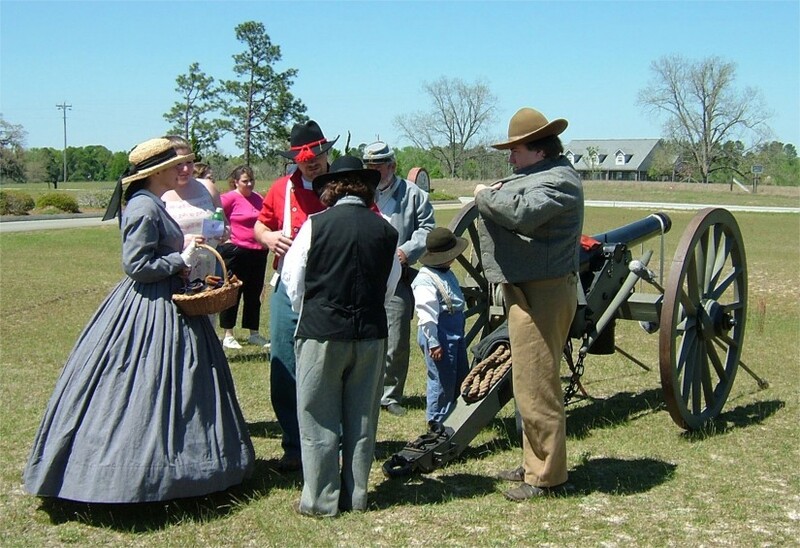 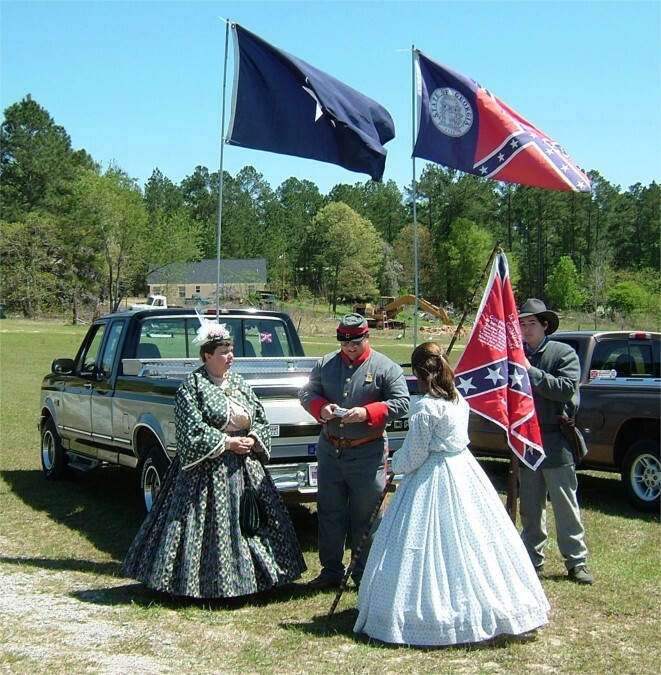 Sponsored by United Daughters of the Confederacy Emanuel Rangers Chapter No. 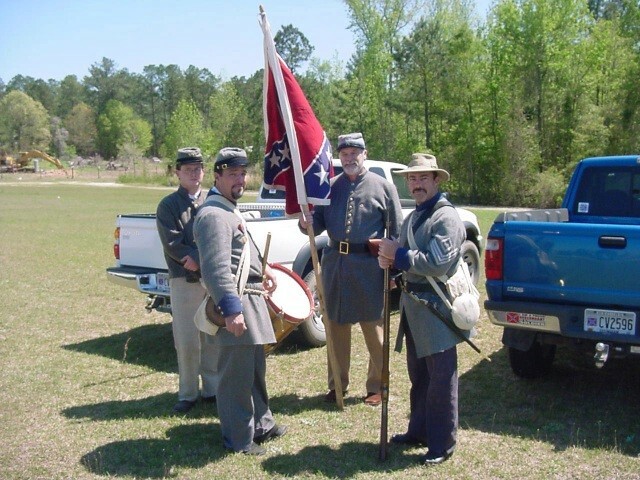 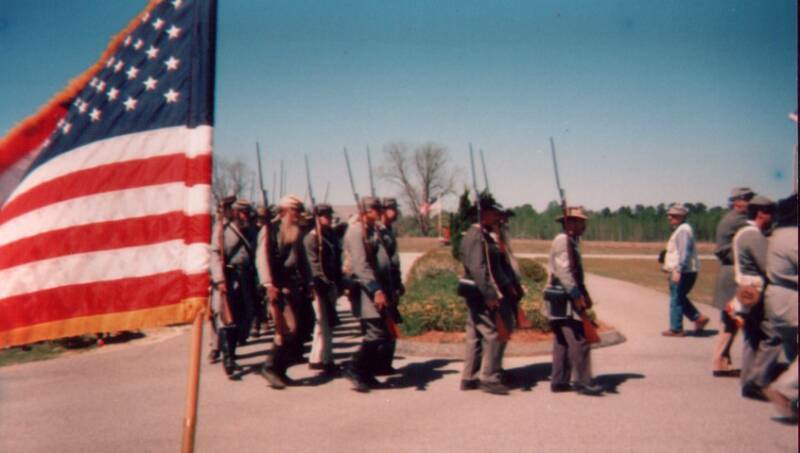 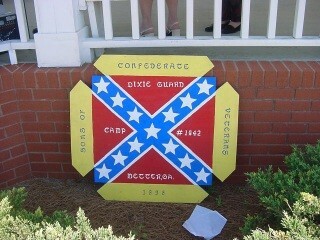 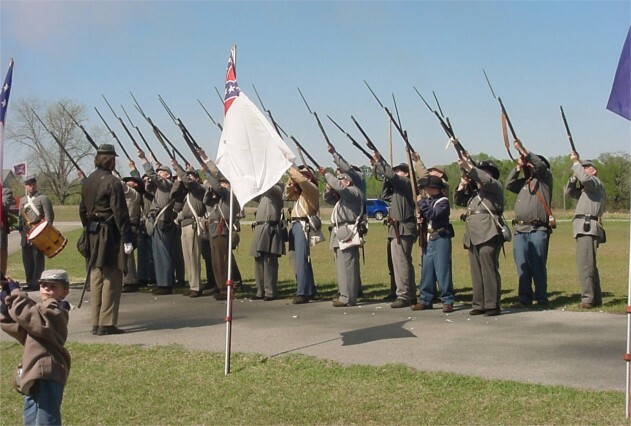 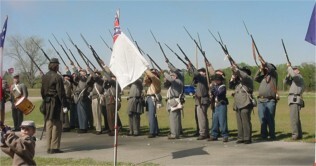 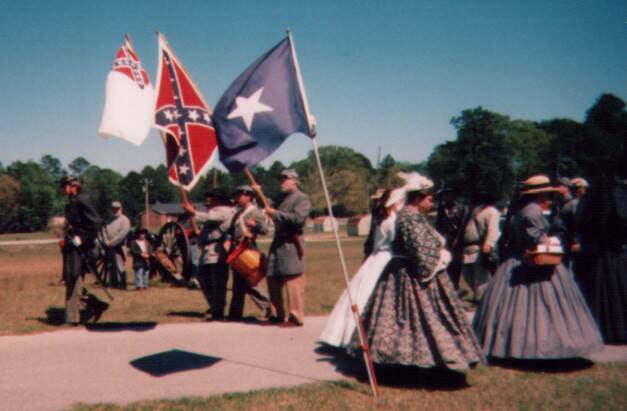 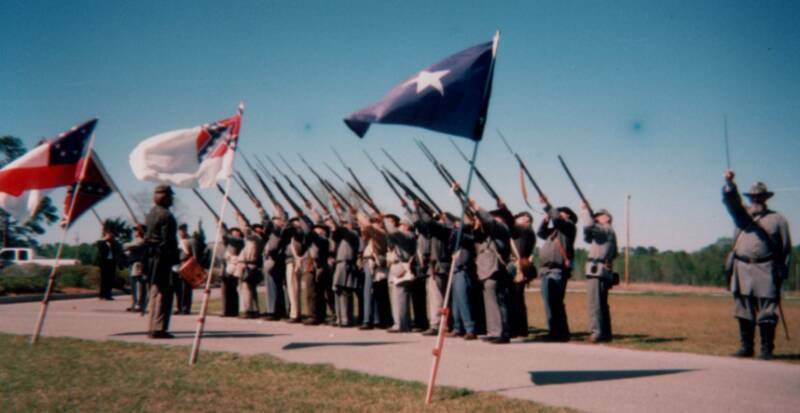 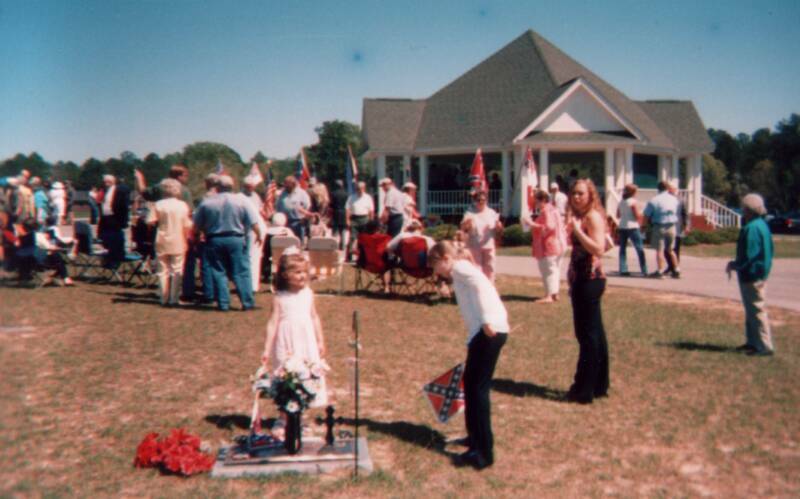 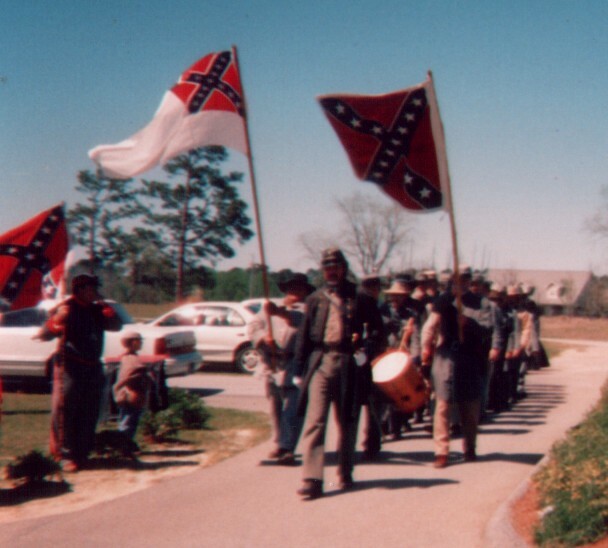 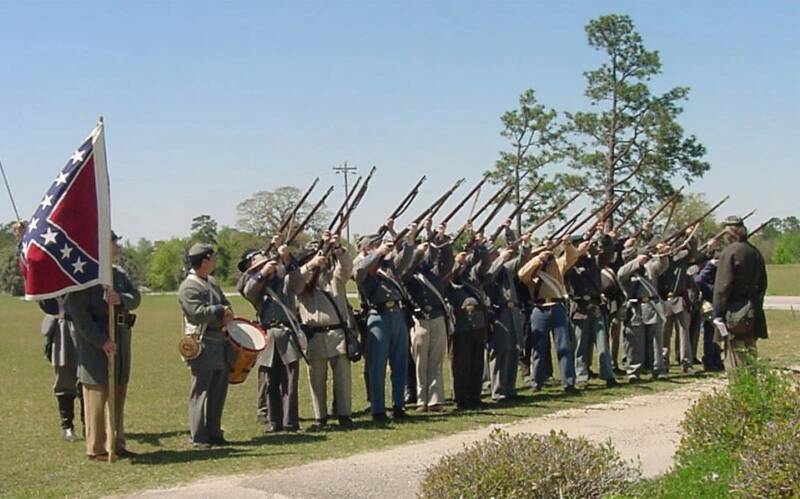 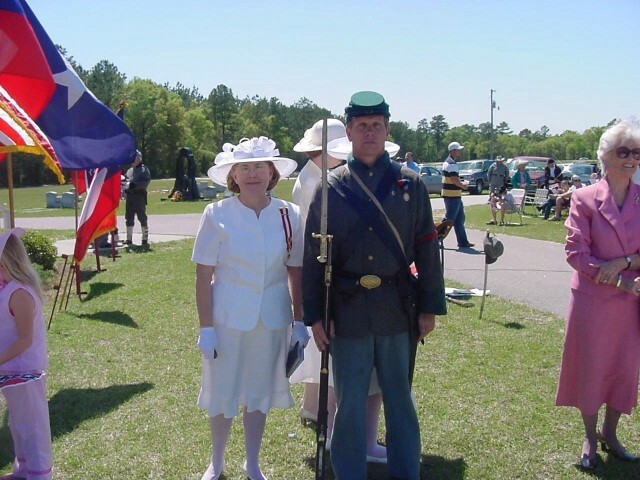 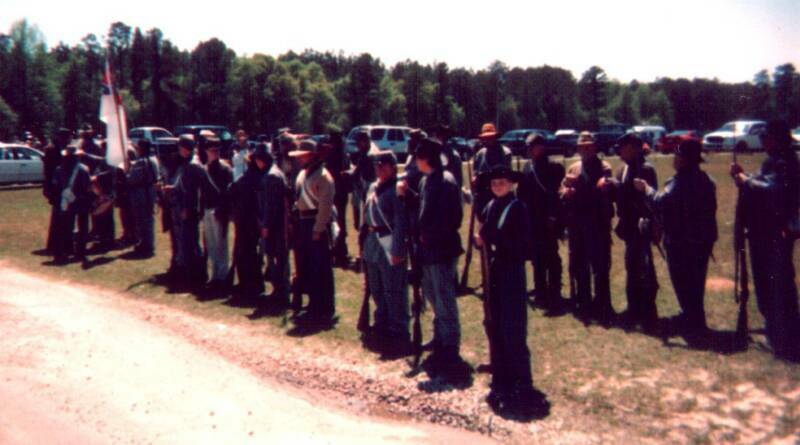 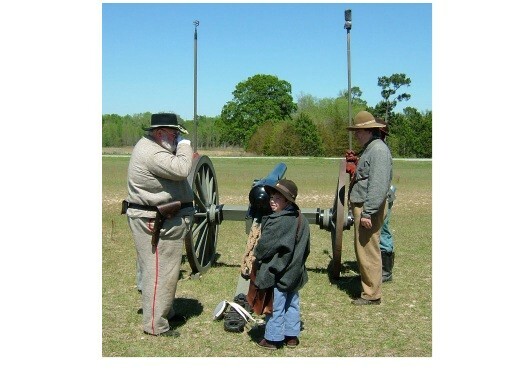 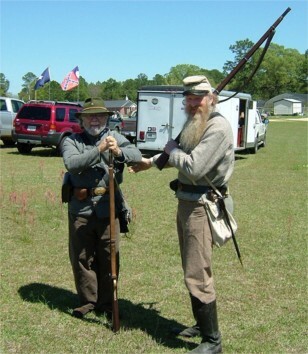 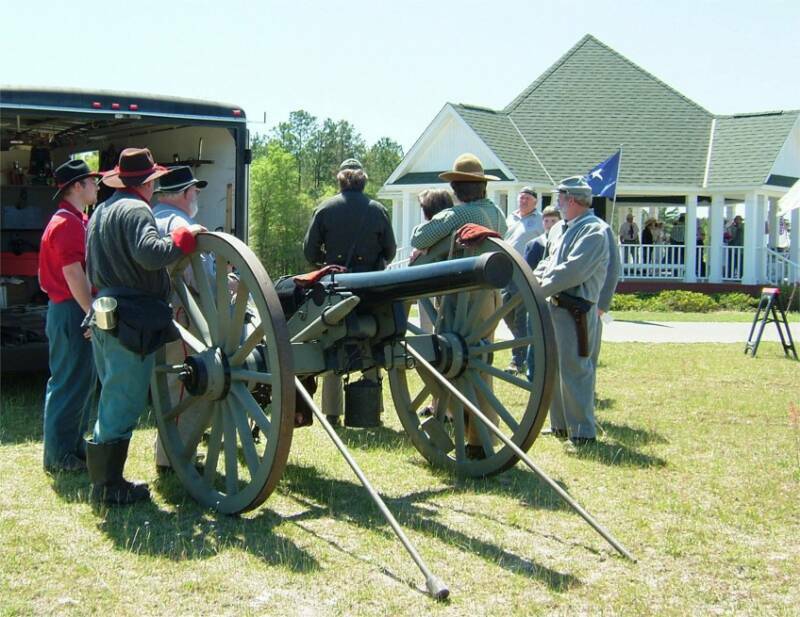 2318, Swainsboro, Ga.
Co-hosted by Sons of Confederate Veterans Dixie Guards Camp No. 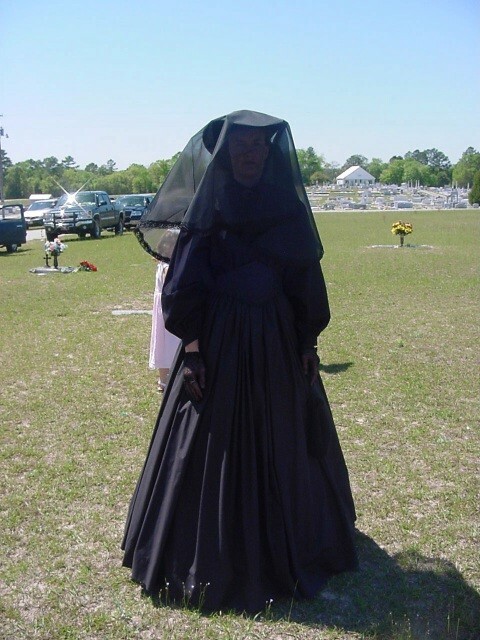 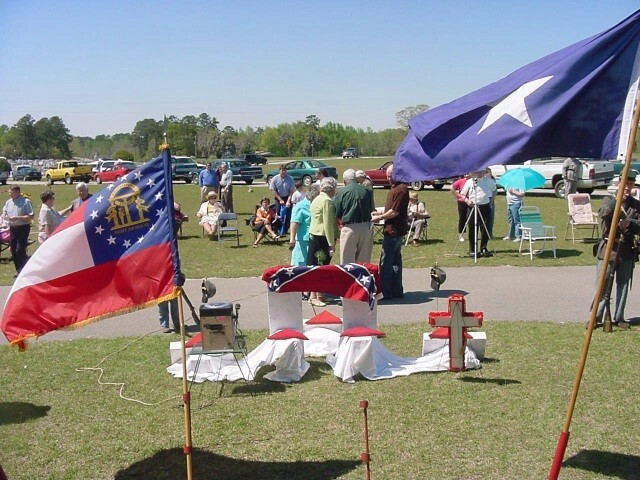 1942, Metter, Ga.
An estimated 150 people attended the Confederate Memorial Service held at Lake Primitive Baptist Church Cemetery on Sunday. 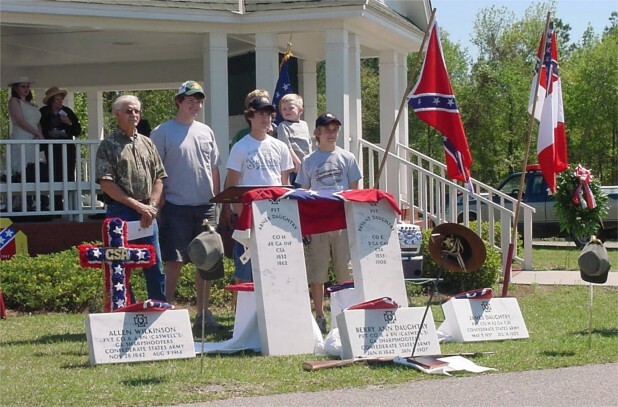 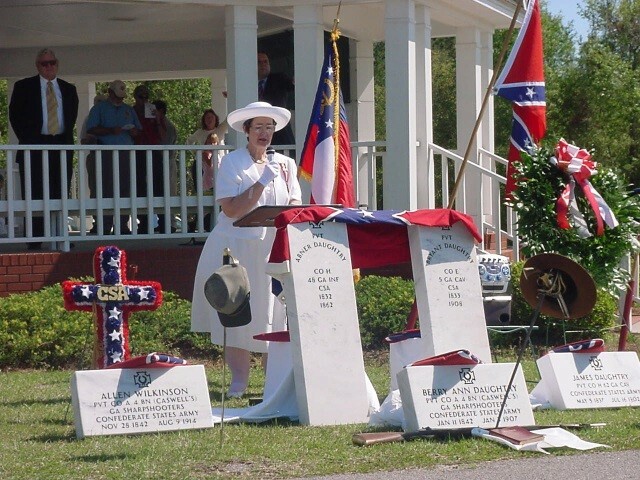 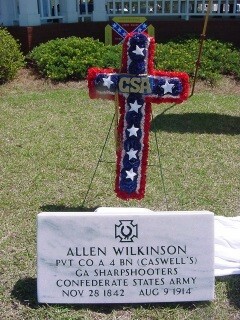 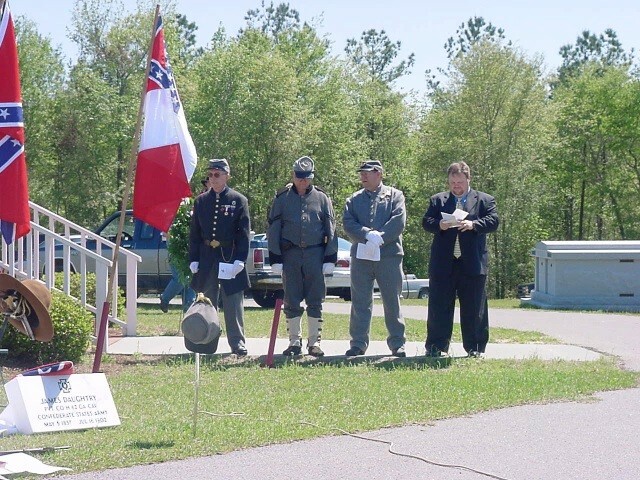 The memorial featured the dedication of grave markers for six soldiers from the Daughtry and Wilkinson families and was co-hosted by Metter’s Dixie Guards Sons of Confederate Veterans Camp 1942 and the United Daughters of the Confederacy Emanuel Rangers Chapter 2318 of Swainsboro. 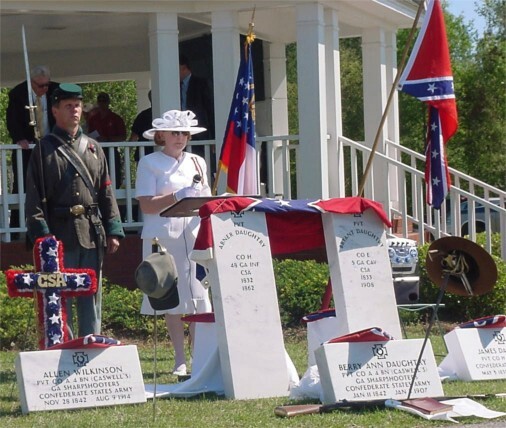 Earlier that day, members of the Dixie Guards placed a battle flag on the grave of every Confederate soldier at the cemetery. 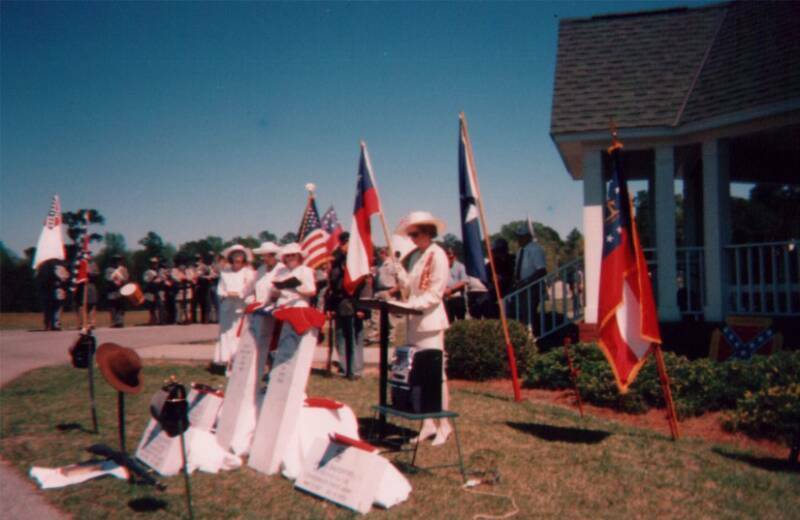 The podium was on the west side of the gazebo facing Metter. 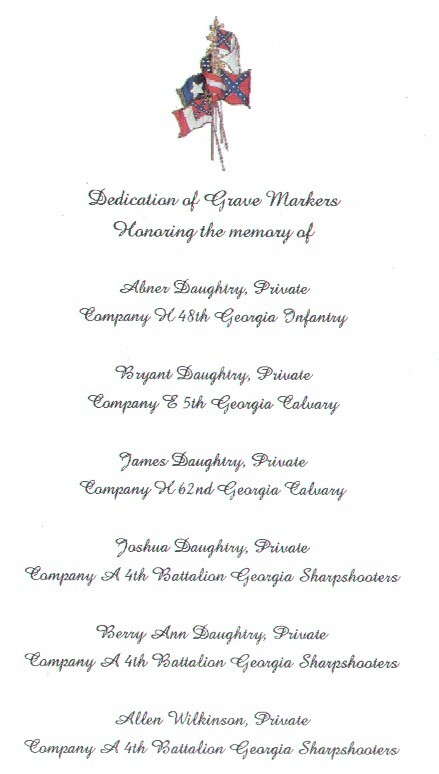 In front of the podium were the headstones to be dedicated honoring Abner Daughtry, Company H, 48th Georgia Infantry, Bryant Daughtry, Company E, 5th Georgia Cavalry, James Daughtry, Company H, 62nd Georgia Cavalry, Joshua Daughtry, Company A, 4th Georgia Sharpshooters, Berry Ann Daughtry, Company A, 4th Georgia Sharpshooters and Allen Wilkinson, Company A, 4th Georgia Sharpshooters. 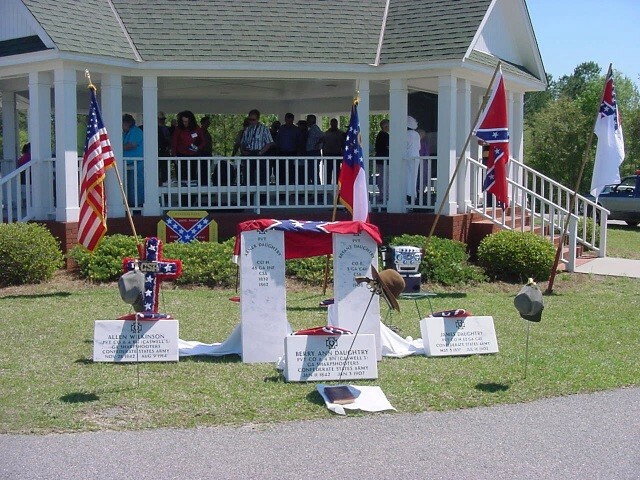 Three battle flags were draped over the headstones. 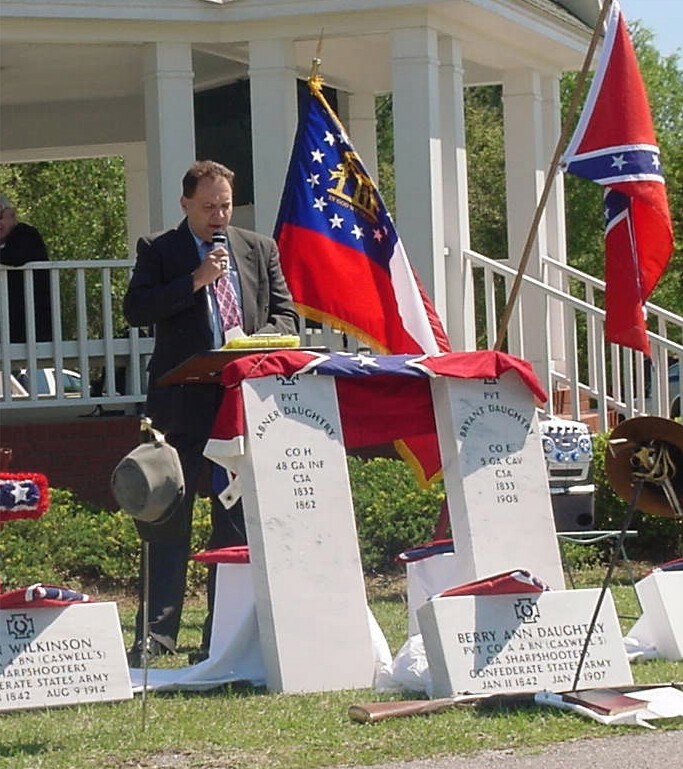 Behind the podium was the flag of the United States of America, the Georgia state flag and the flags of the confederacy: First National (Stars and Bars), Second National, Third National, Battle Flag (St. Andrew’s Cross) and the Bonnie Blue flag. 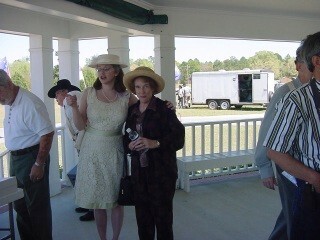 Many viewed the ceremony from the shade of the gazebo behind the podium while some 70 or more people watched in the comfort of lawn chairs arrayed facing the podium. 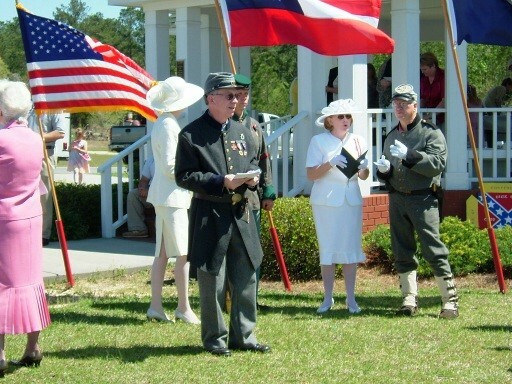 The ceremony began with the presentation of colors in ordered march consisting of thirty two uniformed infantry reenactors of the 32nd Georgia Reenactors, and Sons of Confederate Veterans from The Dixie Guards Camp 1942 of Metter, McLeod-Moring Camp 1386 of Swainsboro, Gen. John C. Carter Camp 207 of Waynesboro, Tattnall Invincibles Camp 154 of Reidsville, Ogeechee Rifles Camp 941 of Statesboro, Ebenezer Rifles Camp 1901 of Rincon, and Battleground Guards Camp 1941 of Kite. 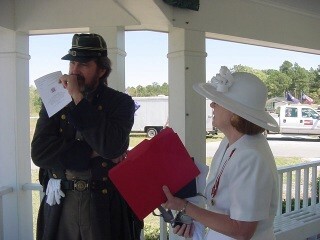 Drummer Thad Beckum of The Ebenezer Rifles marked time as the flags were presented by the company. 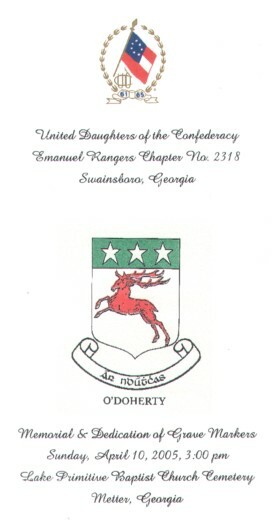 Ms. Mary Ann Smith, President of Emanuel Rangers UDC gave the opening remarks. 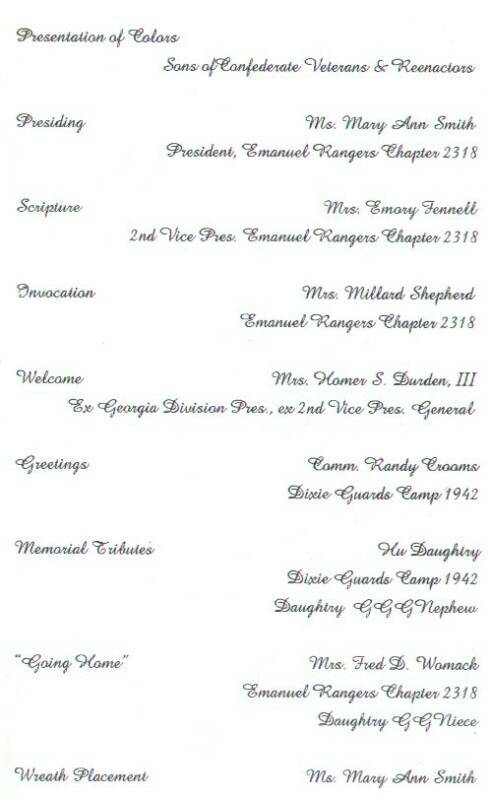 Mrs. Emory Fennell, 2nd Vice President of Emanuel Rangers UDC presented a scripture reading for the invocation. 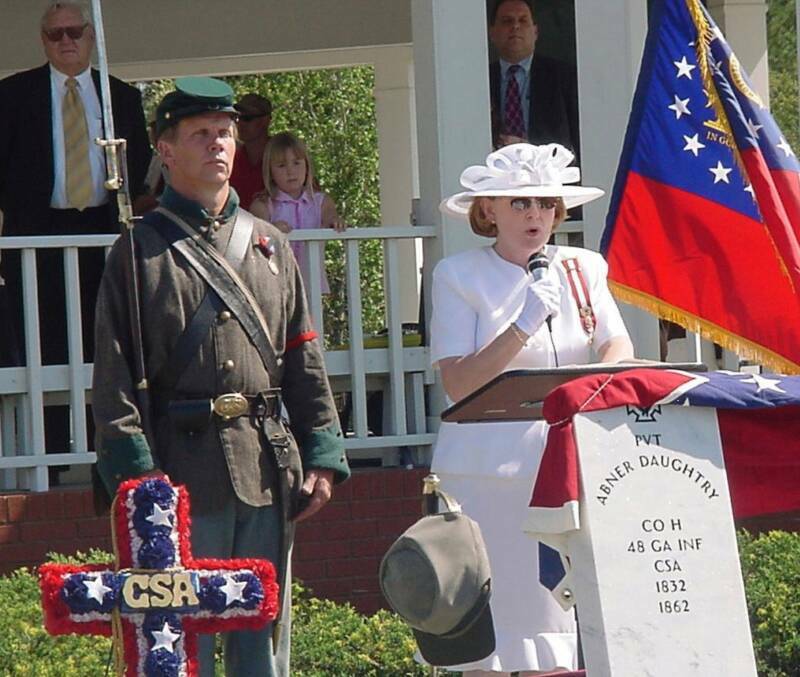 Mrs. Fred D. Womack of the Emanuel Rangers UDC welcomed the attendees. 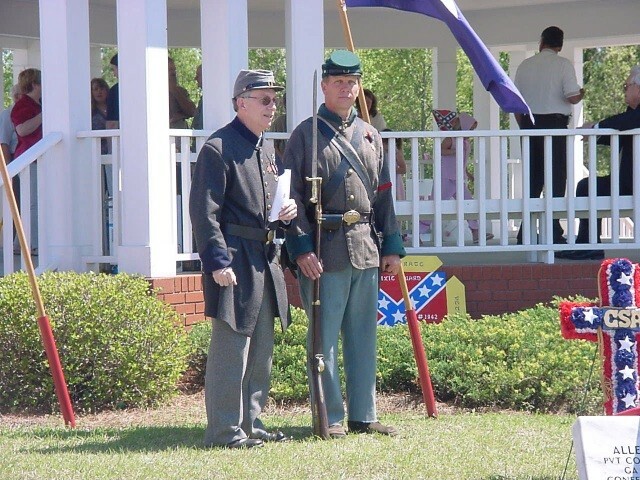 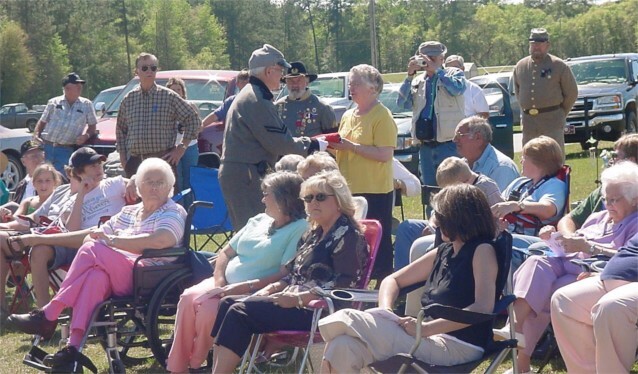 Randy Crooms, commander of the Dixie Guards SCV presented greetings from Metter, thanked those in attendance and recognized the descendants of each of the honored soldiers. 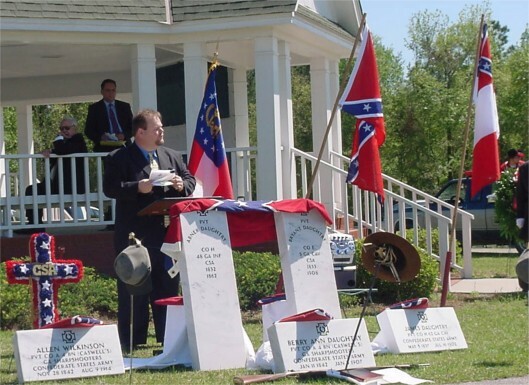 Following Daughtry’s address, Rev. 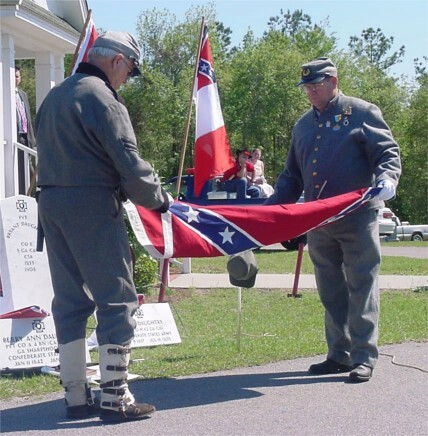 Emory Fennell and Danny Greenway of McLeod Moring Camp folded the battle flags covering the headstones and presented them to descendants of the honored soldiers. 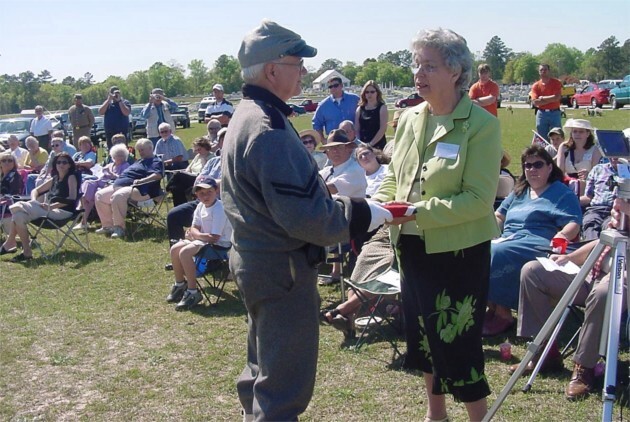 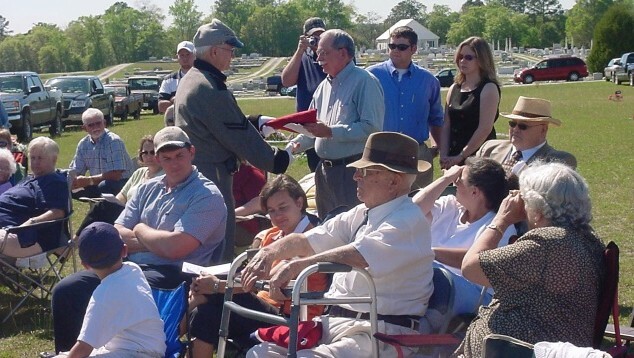 The eldest Daughtry descendant in attendance to receive a flag was Mr. Carl Daughtry of Metter. 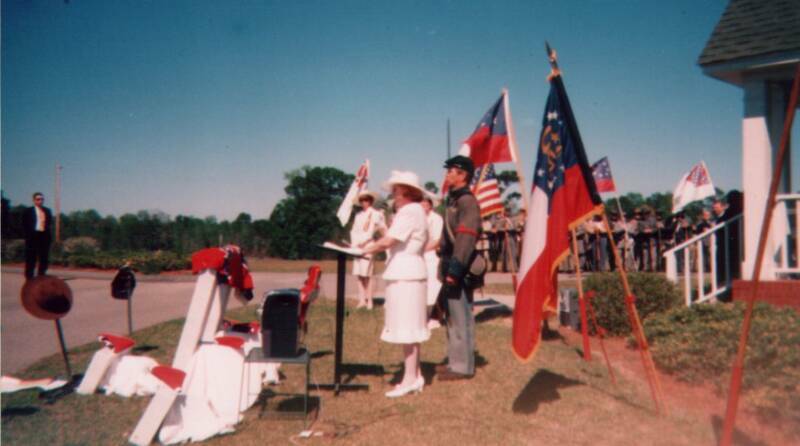 After the flags were presented, Mrs. Fred D. Womack sang a beautiful a cappella rendition of “Going Home”, dedicated to the honored soldiers. 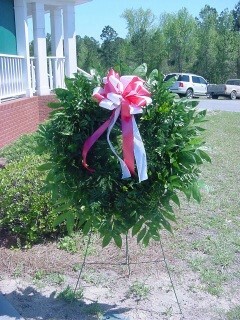 Ms. Mary Ann Smith then placed a wreath beside the new gravestones. 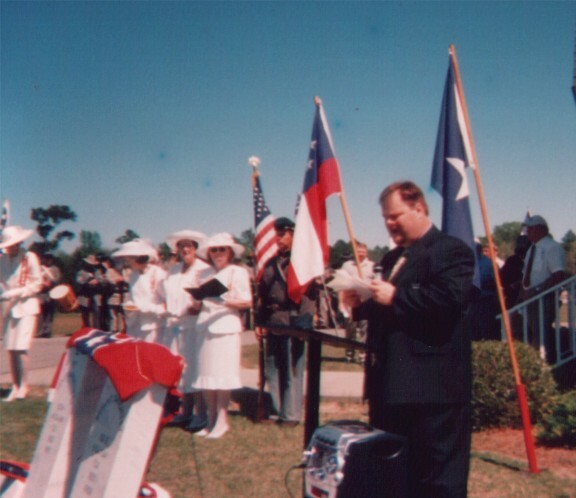 Dr. Jim Wilson of Cedar Street Baptist Church in Metter gave the Benediction prayer. 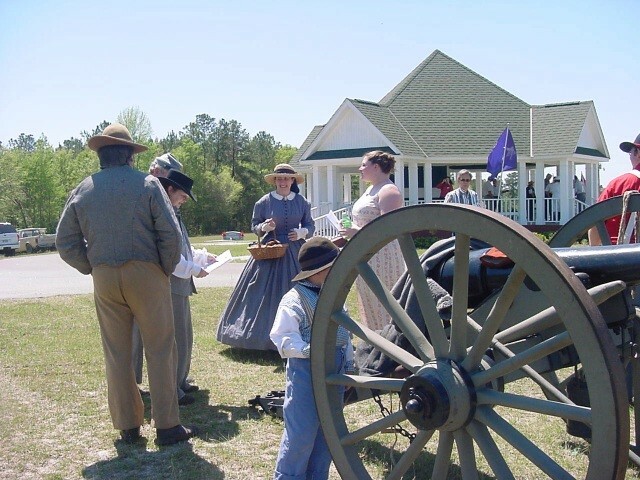 All eyes and ears then focused on the massive volley of twenty-six muskets and cannon fire that rocked the air with three successive volleys. 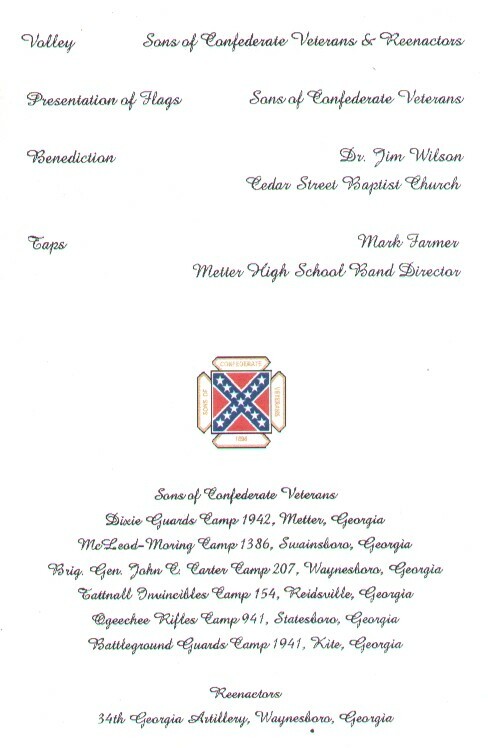 The ceremony was closed with the mournful playing of “Taps” artfully performed by Mark Farmer, Metter High School Band Director. 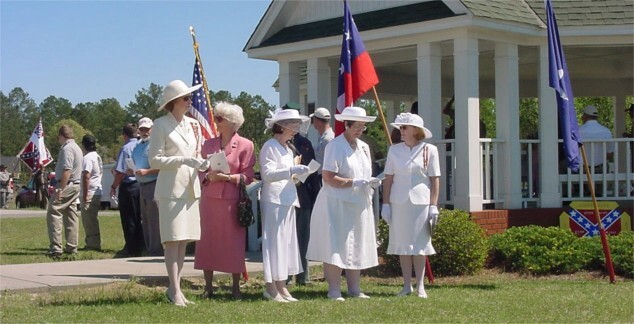 Members of the Dixie Guards Ladies Auxiliary including Mrs. Tony Thompson, Mrs. Grady Franklin and Mrs. Harvey Lively then served light refreshments under the gazebo. 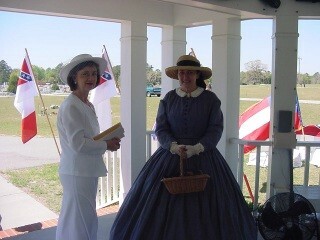 Photos courtesy of Orrie and Patty Jo King.